Publish & Print is a professional, affordable, self publishing book company that uses Print On Demand (POD) technologies based in south Wales, UK. Book publishing has never been easier! You keep 100% of your royalties and all rights. We’re a UK based and our book publishing services take you from start to finish with no hidden costs. Subscribe to our mailing list for our latest releases, handy hints on self publishing, famous author quotes, writing tips and news of the International Welsh Poetry Competition. Our previous newsletters; for the poetry competition and our self publishing company, have been combined so you get less email. We usually send one email a month and you can unsubscribe at any time. Publish & Print uses MailChimp for our newsletters, they are GDPR compliant and we never give your e-mail address to anyone else. 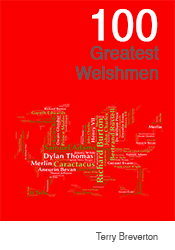 The 100 Greatest Welshmen is a veritable goldmine of a book. Did you know that Wales can boast the man who made possible the Internet, the world’s first football superstar, the patron saint of computer technicians, America’s greatest pathfinder, the founder of socialism, Europe’s greatest legend, an American Public Enemy No. 1, the pioneer of cinema, the first British historian, the world’s greatest pirate, the 20th century’s most important liberal thinker, America’s greatest architect, the man who won the First World War, five of the first six presidents of the United States of America and the world’s most successful buccaneer? 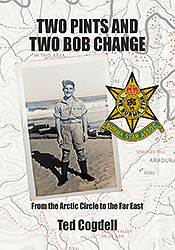 Historical fact meets fiction in a story of crime, mystery and drama in this thrilling tale. 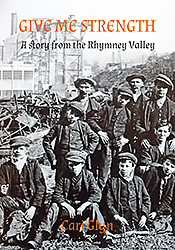 And if you are one of many thousands, near or far, with links to the Rhymney Valley or feel nostalgic for the disappearing traditions and lost industrial heritage of south east Wales – this book is a must read. 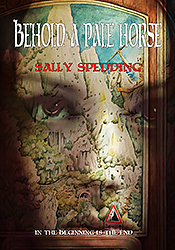 This literary thriller mainly set in London and the south of France, draws upon parallels of evil through the ages. From 1271-1310 after the purging of the Knights Templar in 1307 and the round-up and torture of homosexuals from the French Riviera during World War II, to 1983 and young Catherine and Clement Ash’s loveless marriage. It also charts one deranged old man’s unfinished business leading to a different, even more deadly Apocalypse. To see more authors – click here. Great idea. I shall have to dig some poems out and put a collection together soon. Wish I had heard about this site earlier as a Manuscript has just been sent off for publishing, but I am interested for the near future. Fantastic news I work with a well known writing and poetry group in the Cardiff area. The members are highly successful writers published and non published. I will be discussing your company in our next meeting. Please could you send me further details re: costs etc. Hi all, thanks for the comments, I’ve emailed you all back. Please send me details of your publishing package. I am not satisfied with my present publisher and I’m eager to make a new start. Thank you. I have to say this is a great website, very easy to use and navigate around. Loads of useful information and fantastic prices! Hope to get a short story collection to you soon. I have written a number of poems but I need to add more to the collection ,in order to publish a book of poems,based on various themes. Is there a minimum number of poems I need to publish? Dave Lewis has done it again! A fantastic job of my Gothic historical crime novel, ‘The Yellowhammer’s Cradle.’ This book had been messed around by industry ‘experts’ so the decision to publish independently was one I had to take. Thank you, Dave. I have written a poem titled ‘Are There Really Tigers In Tiger Bay’ and I’ve had some really good feedback from various people online. I was thinking of getting it published as a children’s book with maybe a few lines from the poem on each page, with some lovely illustrations. Can you help me with this please? hello please can i get the prices email to me? I have a finished first novel and poetry book I would like to self publish.Can your company help me? What do I need to do? Hope to be in touch soon with my new poetry collection. Looking at your author page I see quite a few famous writers, traditionally published writers I mean. I assume this mean writers can have an agent, a contract with a publishing house AND self publish any other work they wish. The best of both worlds? Would you be interested in a book of crochet doll patterns? Would need high quality photo next to each pattern and on the cover. Trying to find a publisher to incrude isbn number and not cost the earth for POD and small runs of books.